Ever since Jordy Smith first started winning surfing events on the junior circuit, he’s been tipped as a world champion. That’s a lot of expectation to lump on a kid. But he was just that good. And he seemed to thrive on the attention. He dominated every level from the national juniors to the seniors and finally when he graduated to the World Qualifying Series (WQS) he soon finished on top, ahead of literally thousands of other professional surfers from around the world, to be able to compete at the highest level of the sport, on the World Championship Tour (WCT). His rookie year on “The Dream Tour” was one to forget, but he still easily requalified, while showing the occasional glimpse of what he is capable of. Considering that he has dominated every stage of the surfing pyramid up until the apex, some would say it was only a matter of time before he occupied the number one spot. But rarely do ambition, skill and circumstance combine to make potential possible. South Africa hasn’t had a world champion surfer since Shaun Thompson rode the barrel at Pipeline on a single fin in the late 70s and early 80s. Now all these pressures and expectations rest firmly upon the shoulders of a 21 year old kid. 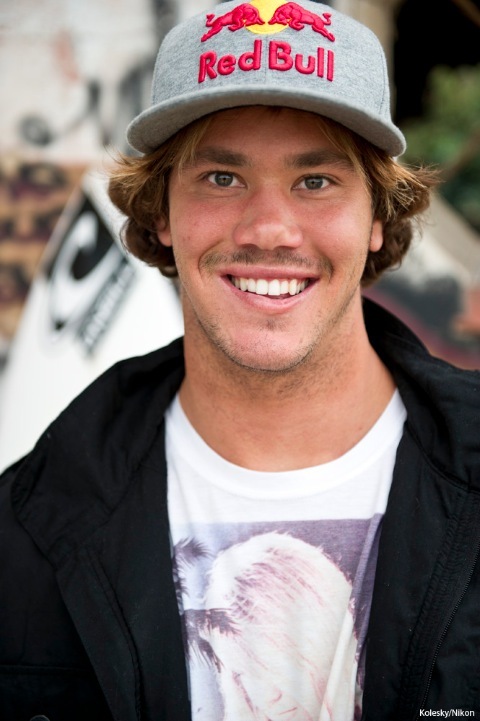 I remember meeting Jordy Smith for the first time when he was 15. Sitting in the carpark overlooking Impossibles at J-Bay with his long time buddy Damien Fahrenfort. I remember thinking what a sussed kid he was; natural, friendly. Even back then Jordy had an air about him. The special one. He was just a kid with a huge amount of raw surfing talent, but we were all hoping he would one day prove us right. This week, he returned to Kommetjie as the King, ranked the number 1 surfer in the world, to sign some autographs and show some face at the O’Neill Cold Water Classic surf event. But how does it feel to be the king? “Do you feel the world title is yours to lose?” I ask. And even though he talks with the swagger and platitudes of a professional athlete, you still get the feeling that this kid is special. “How surreal is your life now?” I ask as another Kommetjie Waldorf kid sidles up to him and asks him to sign his poster. “Do you like it.” I ask. I look around the little restaurant, and everyone seems to be watching us. Expectant and smiling. It’s kind of disconcerting. “So who is the dream crusher?” I ask. Jordy looks back frowning. “Who is your biggest threat on the tour?” I rephrase the question. Jordy just smiles and swooshes the pen. 21 years old. Ranked number 1. Sponsored, endorsed, rich, athletic, tanned, the centre of attention everywhere he goes. It’s good to be the king. “Are you single?” I ask. i am,, no i’m not i mean i am. leave me alone guy! He’s a super freak ahah he’s a super freak ahah! go easy on the guy why don’t you Andy! Thought he was due a bit more of a rough ride.. is this a puff piece?